After over 50 years of service, Classic Images is still very determined to offer readers important insights from vast experiences in every issue of their interactive publications. With this in mind, they require image-editing skills that would project their idea of classic delivery. When the opportunity came to evaluate other authentic image-editing service options, they jumped on it and soon chose Clipping Path Asia. Apart from being a better option than their previous clients are, we have proven how professional we are with this project by judiciously using this opportunity to our advantage and making the best of our strengths to provide the best results as would be appreciated by our new clients. Classic Images is a prime source for information about film histories and film related products that are not available in the mass media market. Some of this information may include a unique movie perspective, or an exclusive actor’s story, new video releases of classic movies or information about a film fest where rare classics are displayed. They keep you updated! Apart from those, they offer advertising services with a major exclusion of producing the ads for you. However, running ads and keeping the world updated on the cinematic scenes, the fact that it would take a spectacular work rate and quality to match up to their standards is no understatement. Clipping Path Asia is one of the leading companies that that offer high quality and photo editing services. Our goal is to ensure that customers are satisfied with the results we produce, regarding; background removal, image manipulation, image masking and image restoration, among many other services. To make this work, we have a large staff of about 50 skilled and creative professionals that can handle almost any image type and deal with most image problems professionally in a reasonable amount of time. For starters, there is a free trial arrangement that allows you to test out our services and be more encouraged to patronize us. 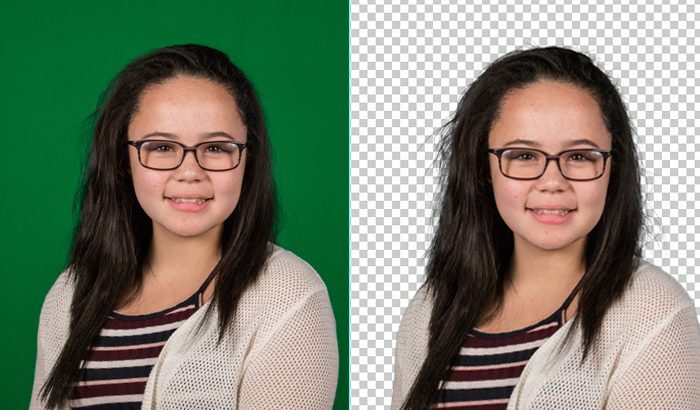 This project required the Schools photography Editing Services like background removal and retouching of about fifty thousand images over the course of three months. The images were school portraits photoshopped and of school sports photography. Obviously, these images featured lots of students in different positions, in different backgrounds with different unwanted details and flaws in the background that needed to be taken down. This had to be executed, reviewed and perfected with 2000 images submitted in 24hours. Photoshop was a major tool required for the task, and it had to be delivered in PNG format. For the transfer of images before and after editing, FTP, Dropbox and we transfer were required. This was the most important and delicate part of the project. It was not just about our expertise, but about how we carried out the whole project, how we planned it down to the daily delivery and pricing per delivery. Dividing fifty thousand images within three months would leave us with about 17000 images per month, about 4300 images per week, or about 620 images daily. Sharing the responsibility among about 50 employees would mean they would have to edit at least 13 images daily. That doesn’t seem like much, but after a week or there about, you might have a change of heart about that. So, we developed a schedule for each professional and had them make schedules at their convenience to keep the motivation up and make sure that the creativity deserved by our clients didn’t diminish with lack of motivation and milestones of image editing. With this, our employees had enough time to work on the images and develop enough motivation and creativity at every milestone. In the end, we had a surprising turnout as our employees consisting of 45 professional image editors and 5 QC were able to handle up to 5000 images daily, and within a month, we were pretty much done with the project. As explained earlier, we worked on school portraits photoshopped and basic school sports photography. Therefore, inevitably, there were single photos and group photos. Editing the group photos was priced at $2 per piece and for single photos, $1 per piece. However, the payment plan wasn’t based on daily delivery, but on a monthly basis, despite the fact that we had to deliver 2000 images every 24 hours. Given our speed and professional etiquettes, we were able to meet up to the delivery. At the end of the month, we drafted our monthly invoices. By then, our client, Classic Images, had enough time to go through our work and contact us in case any of them needed extra touches, all of which we did justice to. That being said, for large volume clients, we do not require upfront images. Payments are made through bank transfers, credit cards, and PayPal. For the transfer of photos, we use various means including majorly FTP, Dropbox and we transfer. Under normal circumstances, there would be complaints about low-quality images or images damaged beyond regular repair. However, in this case, we encountered much more challenging scenarios. Inevitably, there would be awkward poses by the kids in on field pictures, because the sportsmen weren’t always alerted while taking the pictures. Since the presence of every kid was vital to the authenticity and composition of each image, our professionals were very creative about adding relevance to every detail in the images, thereby increasing their values as perceived. We are proud to say that we dealt with each image professionally, with little or no complaints from our clients. Just as we hoped, our client, Classic Images, was very satisfied with our delivery regarding the quality and turnaround time. According to them, they are currently making an impressive amount of profits as a result of the effect of our work on their business. Overcome every single challenge posed by the contents of the photographs about the editing services required of them, among other scenarios. You are probably already aware of the importance of product photo editing if you are selling online. And as in the huge online stores and auctions websites where anyone can place a product to sell, having the best possible product photo listed, can make the difference between sale success and failure. The photo you list in such online places is the meeting point with the potential buyer of your product. With so many thousands listed photos, is not actually easy to grab the attention of viewers when they are surfing. And even more, have placed a photo that is not so clear or it doesn`t demonstrate your product to its best presentation, this is an added negative factor to make the viewer of your photo walk away, and so you lose the click and a potential sale. Additionally, if there are others who sell the same or similar product like yours, have taken the advantage of a fine edited photo to show their product, then is even more difficult to win the buyer. So, placing a photo of your product online is not just an upload procedure, but it is rather a point which needs special attention. And with the photo editing tools and services that are available today, is not a big deal to edit your product photos and make them luring the viewers. Several points of editing a photo should be taken into account when you want to demonstrate your products online, as a nice photo can make a big difference in your sales. One of the most important elements regarding editing a photo that displays a product is the background. Keeping the background of an image that shows your product, untouched, this alone can be a distracting factor and a negative factor in general regarding the success of your sales rate. If your product is shown in the photo with backgrounds that include other distracting elements is the sure way to failure. Photos with backgrounds of your room, or your bed, or anything that has no relation to the product itself is a photo that doesn`t present that product as better as it could. And not only that but furthermore, when viewers look into such photos, the general impression they will get it will not be the one that would make them click on that photo and get into a buying decision. So listing your products online in the wrong way is like you say to viewers to go away and you waste your efforts. But from the other hand, if the photos of your products that you list online are well edited and are clearly focused on the product itself, then this is an important factor regarding grabbing the attention of the viewers in the mere seconds they surf across your photo to make them click. And making the viewers click on your product photos is a very fine point of the sales procedure. When someone clicks on your photos, then his next step is within your terrain, where you will have to further convince him about the quality of your product and further explain to him why he should buy your product. But once your photo is clicked, then the first step to making a sale has been taken. So, once again, listing your products photos online is not only an upload action. But editing your photos to make them attractive to viewers and make them click and enter into your sales funnel, requires a bit of time, a bit of photo editing knowledge and a software that can make the appropriate job. But once you have all of the previous requirements and be able to start editing your photos and start making beautiful product listings, then is very likely that you will see an increase in your sales and better effectiveness of your whole system! And in case you don`t want to get involved with editing your photos due to any reason, you can always outsource this job to some experts that can guarantee that your photos will look great and will show your products as they should,and so to make more sales and generally give a better impression about your business. Here in ClippingPathAsia.com, we can be your solution of your products photos editing, as we provide the exact services you need! Our team consists of highly trained photo editors, we use the most sophisticated photo editing tools that exist today and so we can guarantee highest quality results in the lowest possible prices. Our delivery times are the soonest can be, as we start working on final orders right after an order is placed! So, in any case, you need photo editing for the product photos we are here to provide you top quality work in the shortest time possible, at the lowest prices in the market! We are committed to provide top quality photo editing and make your product or any other type of photos look outstanding so you will be able to make amazing product listings and increase your sales! But don`t take our word on this, just try our services and see by yourself what we can do for your photos. Take our Free Trial and see with your own eyes the results we can achieve! ✔ Adobe Photoshop image manipulation services Lighting specialist, manipulate shadow to strengthen the lines of the car as well as enhance its curve. The whole sight is the melodic group to create the final word insight of the car. But, once the snap shoot…. Mainly the production companies for their advertising purpose use these services. the ad is one of the most significant aspects throughout which advertising and sales industry grow further….